It's time for the TAWS August release blog hop! The Penguins on Parade set is just perfect, endless creative possibilities here for you! Hahaha, such a funny card! It sure does, love it! geez I love these penguins... Love love this card! Sticking to a simple color palette adds such a beauty to your card. This is absolutely beautiful with the angle of the white paper to add. this is the way I look after I do anything with paint (even my inks). Love the card - plain and simple and very pretty. YOU always amaze me - your creations over at the TAWS blog always impress and delight me!! 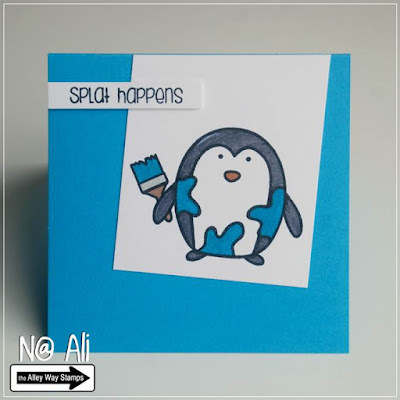 This card is awesome - SPLAT does happen and we have to deal with it!! Wonderful!! 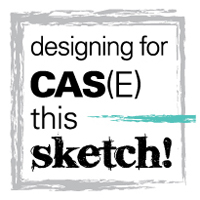 Love the CAS-ness! Great design and colors! !